OUR BEST YEAR YET WITH THE HELP OF NEW CUSTOMERS IN NEW FORMULAS AN UNBELEIVABLE 13 LAP RECORDS WERE RECORDED WITH THE HELP OF THE UNIQUE SOLID PROFILING SYSTEM. ASSISTED HONDA UK'S R AND D CENTRE TO AN UNEXPECTED WIN IN THE UK'S FUEL ECONOMY CHALLENGE. 5 CLUB RACING MAZDA MX5 MK1 CHAMPIONSHIP. 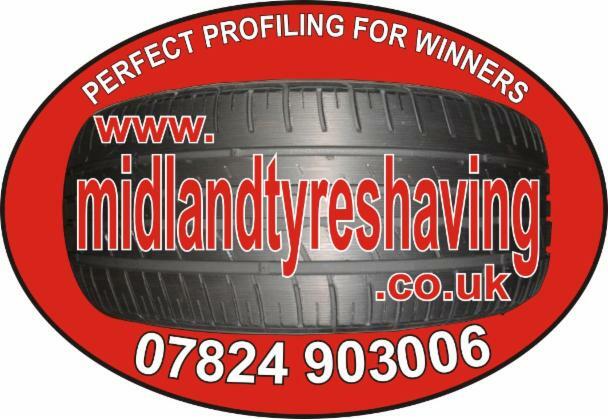 OFFICIAL TYRE SHAVER/SUPPLIER TO 5 CLUB RACING MAZDA MX5 MK1 CHAMPIONSHIP. OFFICIAL TYRE SHAVER/SUPPLIER TO THE C1 ENDURANCE CHAMPIONSHIP. 1. TREAD REDUCTION BY COLD CUTTING WILL REDUCE FLEXING OF THE TREAD BLOCK INCREASING TRACTION OVER A LONGER PERIOD. 2. THE MORE RIGID TREAD BLOCK WILL THEN WEAR AT A SLOWER RATE ON THE TRACK. 4. UNIQUE PROFILING SYSTEM PRODUCING REPEAT ACCURACY TO WITHIN 0.1MM. A PERFECT SCENARIO LAP TIMES REDUCED AND EXTENDED TYRE LIFE. PRODUCING FULLY RADIALLY PROFILED TYRES WITH 100% REPEATABILITY TO WITHIN 0.1MM.